No change for once with the home shirt, readily available in the club shop for £7.95. 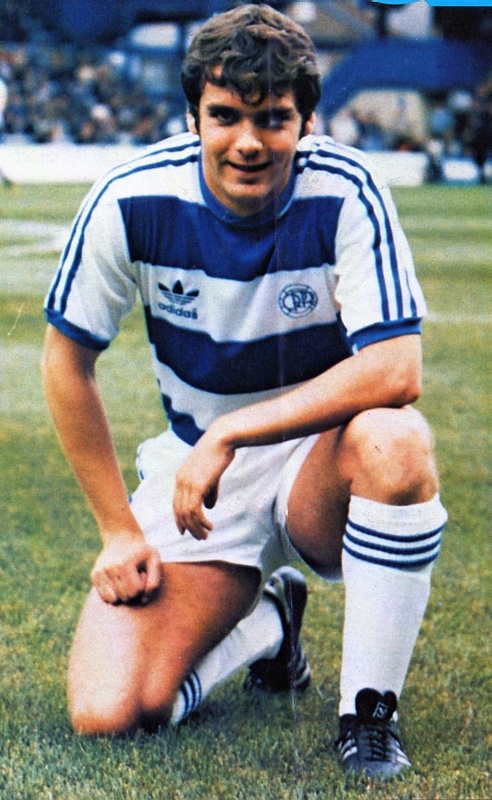 Away from home, whilst the red shirt launched in the 1978/79 season was used most of the time, the red/white halved one first seen in the 1976/77 season reappeared for the trip to Chelsea in August. Then this curious one appeared around November. The actual match it was worn in is not clear - quite possibly away to Preston, and this may even be their away kit. 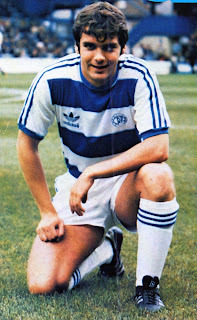 Preston were with Adidas at the time, and if QPR only took their home colours and the inevitable clash occurred... Anyone shed some light on this? Totally fake but interesting take on the orange shirt is this tracksuit top sold on ebay in 2018 for £46. The centenary badge renders it's use for this season as the giveaway. 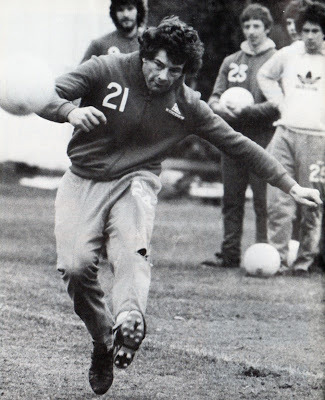 Though Adidas were the official suppliers to QPR, somehow this Le Coq tracksuit top splipped through the net during training. Preston's away kit was yellow/blue so was possibly a training kit Preston had hanging around. Poor work by the kitman to not take the Red away strip with them . 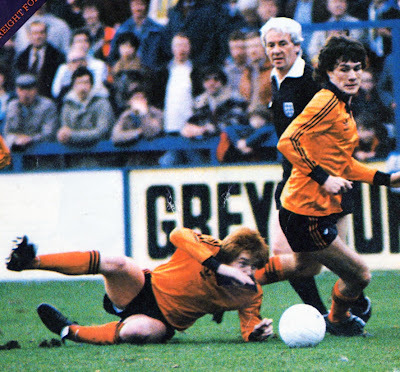 I think the orange kit as worn by Simon Stainrod et al relates to a game at Newport County. A friendly I think to fill a gap in the fixtures due to being out of the cup. Not sure why the r's had to change. 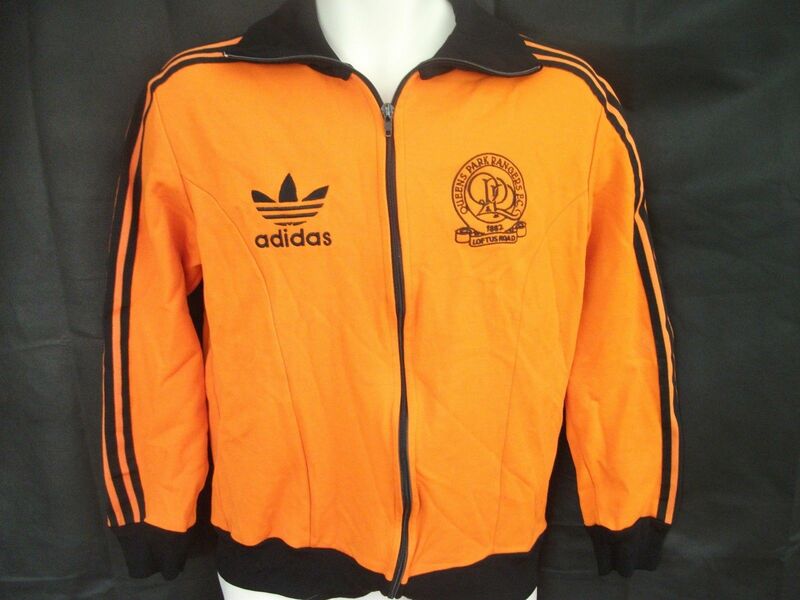 The orange kit was ours - based on the Dundee United kit of the day. Worn at Oldham and I think Preston. 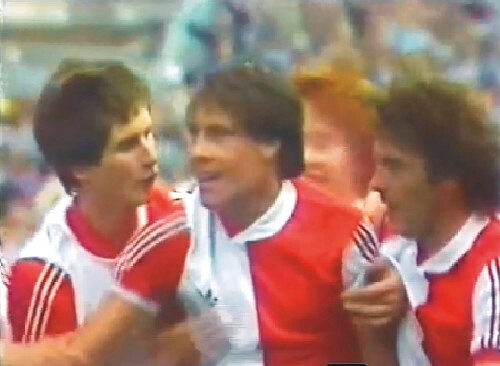 We also lent the shirts to Middlesbrough for a game at LR the following season when the ref insisted that they couldn't wear a red shirt with a white hoop!